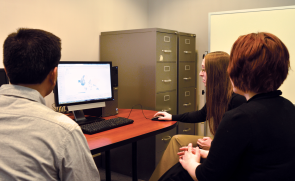 We help faculty, staff, and student researchers learn to use statistical and qualitative data analysis software through one-on-one consulting sessions, workshops, and online tutorials. The service is free, and members from any discipline and any campus are welcome! We help clients at any stage of the research process learn how to use statistical and qualitative data analysis software. We currently support the statistical software packages SAS, SPSS, JMP, GPower, and R; the qualitative data analysis package NVivo; and the online survey platforms Qualtrics and Google Forms. We also offer limited support for Stata.